Do you spend more than $2,000 a year? Would you welcome 2% cash back without having to pay an annual fee? If so, you might want to tune in to what the NASA Platinum Cash Rewards Credit Card has to offer. 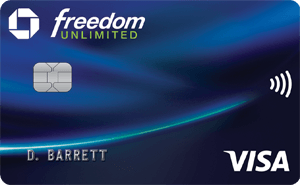 This card doesn't charge a balance transfer fee, saving you 3-5% over what many cards charge. Plus, if you transfer within the first 90 days, you'll pay just 7.9% interest for the life of the balances transferred. If you make $1,000 in purchases you'll receive 1% cash back; you'll get 1.25% cash back for annual purchases between $1,001-$2,000; and you'll earn 2% cash back for purchases above this amount. You will pay a foreign transaction fee with this card, but at just 1% it's less than the typical fee among cards that charge one. Rewards are paid out annually, so this isn't the card for anyone uncomfortable with delayed gratification. The NASA Platinum Cash Rewards Credit Card is a good option if you are mild spender with your credit card. Cardholders reap a specific cash back percentage based on their net annual purchases. If you make $1,000 in purchases you’ll receive 1% cash back. You’ll get 1.25% cash back for annual purchases between $1,001-$2,000, and 2% cash back for purchases above this amount. Receiving 2% cash back for all purchases is higher average than many no-annual fee cash back cards on the market, especially for cash back cards that don’t have rotating categories. The lack of an annual fee and balance transfer fee makes this card competitive. The market average for balance transfers is around 3%, so if you have a high balance to transfer, saving this percentage could be a compelling reason to try this card. If you’re struggling to pay off your balance on a high-interest rate credit card, this benefit is worth taking advantage of. Since NASA Platinum Cash Rewards is a Visa® credit card, you’ll also get many of the same benefits that Visa® cardholders have come to expect, including rental car insurance, 24-hour travel and emergency assistance, zero liability if someone makes fraudulent purchases on your card and free Verified by Visa fraud protection that provides added security when you shop at participating online stores. While the NASA Platinum Cash Rewards Credit Card does charge a 1% foreign transaction fee, it is lower than the more common 3% fee found on many credit cards on the market making it a decent card to bring abroad if you don’t have a specific travel credit card. Consumers who haven’t yet mastered the art of delayed gratification won’t like the fact that the NASA Platinum Cash Rewards Credit Card awards cash back on an annual rather than monthly basis. You’ll have to wait a full 12 months from the date you opened your account to take advantage of the rewards you’ve earned, which is different than many rewards programs on the market. Another obvious downside is the lack of sign-up incentives. There’s no 0% APR offer and no sign-up bonus, but the NASA Platinum Cash Rewards Credit Card’s lack of annual fee and balance transfer fee has the potential to save you more than that over the long term. While you don’t have to be Neil Armstrong to land a NASA card, you do have to be an employee or retired employee of an approved space center, lab, research center or a member of an approved association to become eligible for this credit union – you may have to jump through a hoop or two to earn a membership at this credit union. 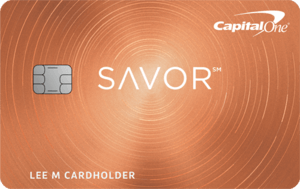 Neither card has an annual fee, but the Bank of America® Cash Rewards credit card has higher ancillary fees: 3 percent (minimum $10) fee on balance transfers and foreign transaction fees. The Bank of America® Cash Rewards credit card offers an intro 0% APR for the first 12 billing cycles on purchases and balance transfers made within the first 60 days of opening your account (then, 16.24% - 26.24% Variable APR on purchases and 16.24% - 26.24% Variable APR on balance transfers). It also offers $200 online cash rewards bonus after you make $1,000 in purchases during the first 90 days of account opening, which is a bonus the NASA Platinum Cash Rewards Credit Card lacks. The cash-back structure also differs on both cards. The Bank of America® Cash Rewards credit card has a new offer to help you maximize your cash back in the category of your choice: gas, online shopping, dining, travel, drug stores, or home improvement/furnishing. Now earn 3% cash back in your choice category and 2% at grocery stores and wholesale clubs (up to $2,500 in combined choice category/grocery store/wholesale club quarterly purchases), and unlimited 1% on all other purchases. You can update your choice category for future purchases once each calendar month using the mobile banking app or online banking, or do nothing and it stays the same. NASA Platinum Cash Rewards awards cash back isn’t based on categories – it’s based simply on the flat amount you spend. The biggest difference is that the Bank of America® Cash Rewards credit card lets cardholders redeem their rewards more frequently, while cardholders only get cash back annually with The NASA Federal Visa Platinum with CashRewards, the better option because of its flexibility. Though it's still not quite as attractive as 2 percent, those who prefer to cash in on their rewards immediately, as well as those who don't want want to worry about a complicated rewards structure, might find the Wells Fargo Cash Wise Visa® Card's unlimited 1.5 percent cash back offer (or 1.8 percent for the first year when making purchases with a qualified mobile wallet) appealing. With the no annual fee Wells Fargo Cash Wise Visa® Card, new cardholders earn a $200 bonus once spending $1,000 with the card within the first three months of account membership, and there's a 12-month introductory offer of 0 percent APR. The downside though is Wells Fargo still charges a 3 percent balance transfer fee, for 120 days from opening an account, and then 5 percent after that. Though the The NASA Federal Visa Platinum with CashRewards card doesn't have a 0 percent APR period, it does not charge a balance transfer fee. If you have a high balance to transfer, saving this percentage could be a compelling perk. If you're looking for an uncomplicated rewards structure, an occasional balance transfer, and don't mind stockpiling your rewards until the end of the year, the The NASA Federal Visa Platinum with CashRewards card might be the best way to go. Otherwise, the Wells Fargo Cash Wise Visa® Card could be a solid bet. Any eligible person who likes to bank with a credit union and is looking for an everyday card they can use to reap rewards should give this card a moment of thought. If you easily spend – and pay off – more than $2,000 a year in credit card purchases, you’ll easily get 2% cash back with NASA Platinum Cash Rewards. If you have a high balance on a high-interest rate card, this card also is a good option because of its lower interest rate on balance transfers during the intro period and no balance transfer fee.